!! 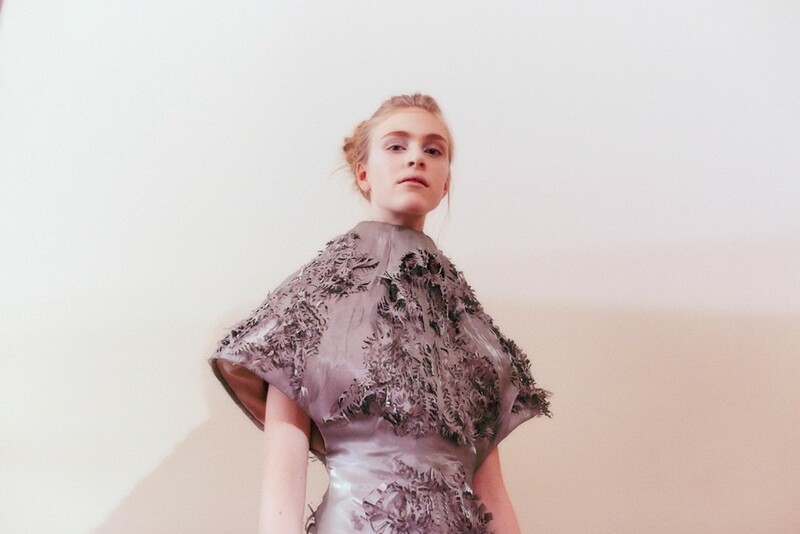 OMG, Iris’ in bloom: Iris van Herpen’s “Wilderness Embodied Haute Couture” !! 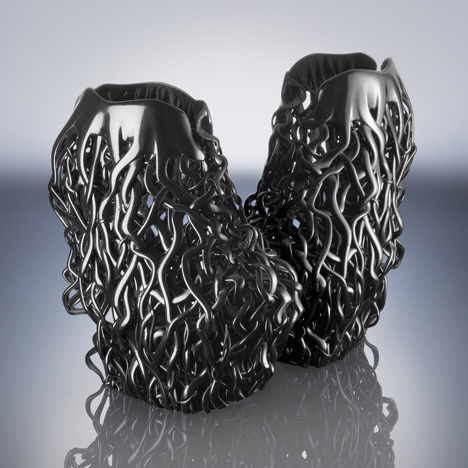 For Iris van Herpen‘s latest Haute Couture show entitled “Wilderness Embodied”, the Grimes and Gaga-garmenting designer worked with shoe designer and fellow Hollander Rem D Koolhaas [nephew of THE Rem Koolhaas] to create 12 pairs of entirely 3D printed shiny root-bound shoes which were print-produced in under a week. Follow the jump to see the aforementioned rooty heels plus other looks from the ankles up including a COUTURE CUTTLEFISH NECK-BRACE, one squid-silhouette regal shell-suitable and a rubberized beaded fossil-frock…blooming beautiful ! 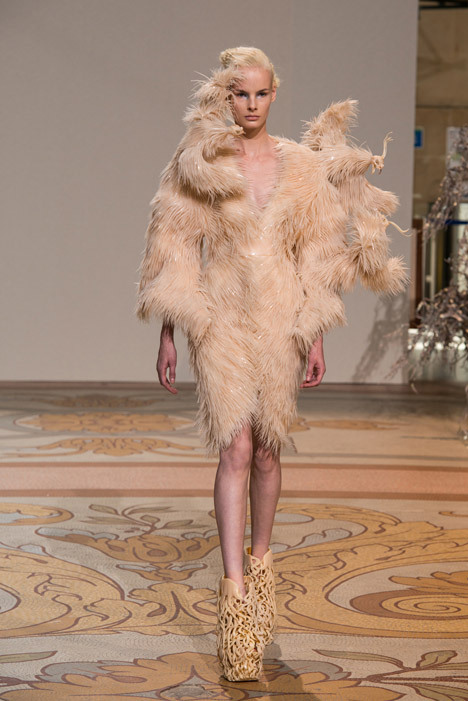 Be the first to comment on "OMG, Iris’ in bloom: Iris van Herpen’s “Wilderness Embodied Haute Couture”"